I’ve never been one for salting fruit. I think my distaste dates back to my childhood, when my mom would soak apple slices in salt water to prevent them from oxidizing. That just ruined it for me. I never understood how a salted apple could possibly taste better than a brown apple looks. So, strawberries in a savory salad? Salt and chili on mango? Salted prunes? No, thanks. However, melon and prosciutto? I love! Somehow, that became the exception after I experienced it while on a trip to Italy years ago. 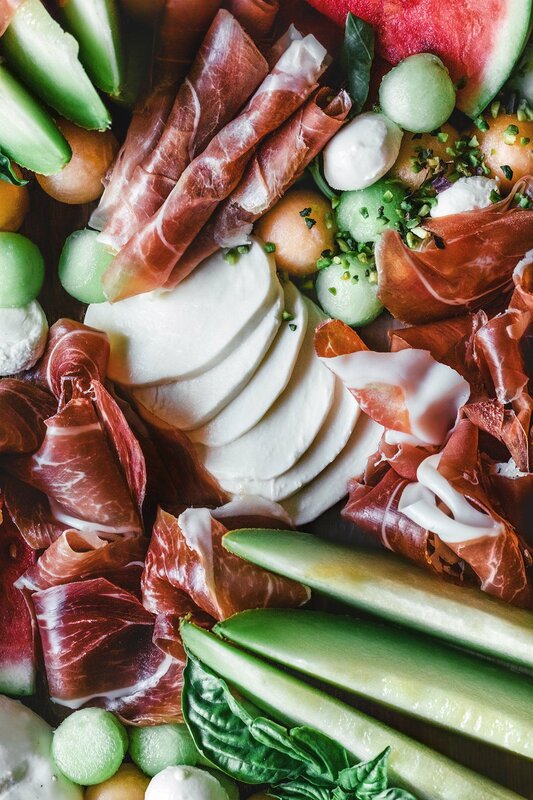 The combination of cold and juicy melon with dry and salty cured ham is divine. Perhaps I’ve romanticized it with fond memories of a summer spent in Tuscany. 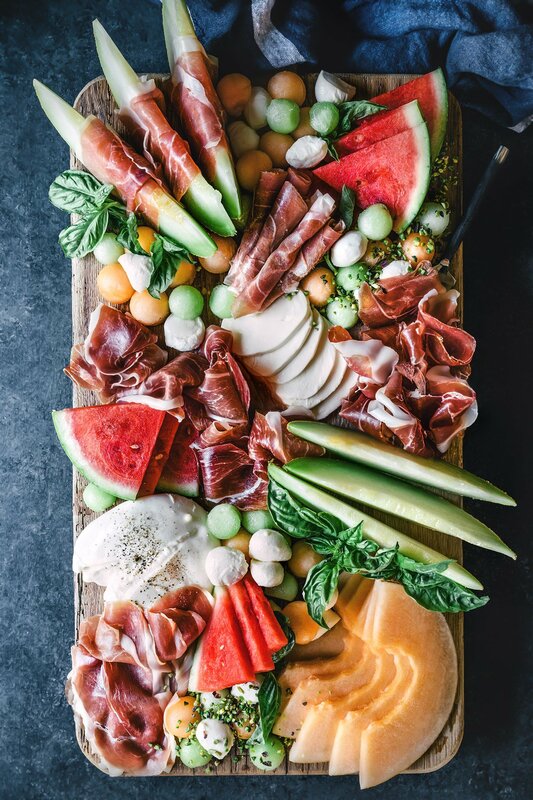 Regardless, it’s the perfect summer starter and with melons in season, I was inspired to build a spread that went beyond just your classic marriage of cantaloupe and prosciutto. 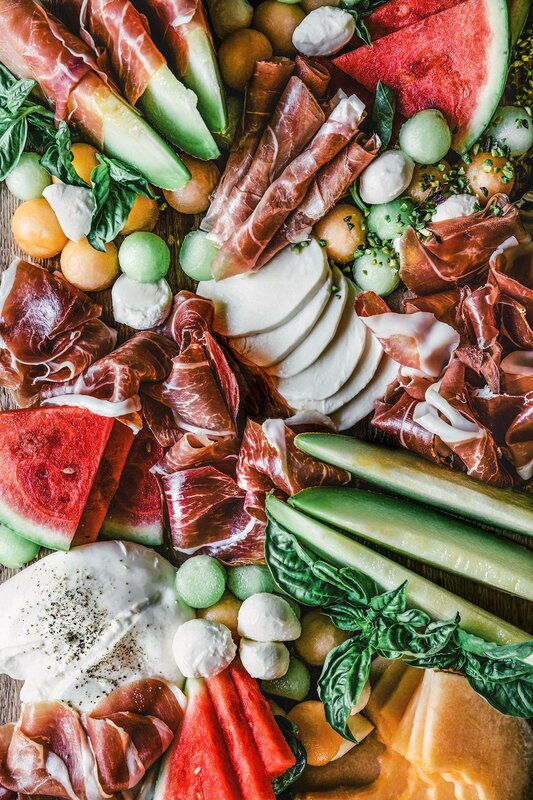 For the ultimate melon and prosciutto platter, I’ve incorporated melons that range in an assortment of textures and sweetness, like watermelon, honeydew, Galia melon, cantaloupe, and Canary melon. 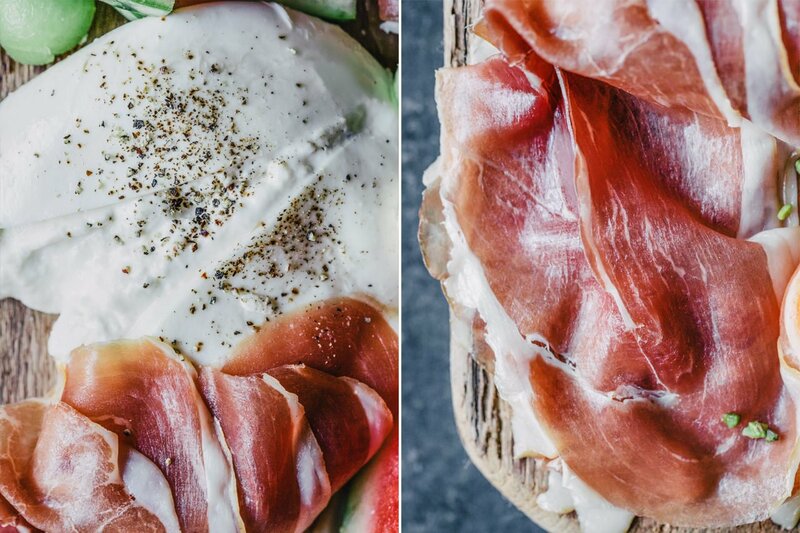 Italian cured hams also come in a wide range of flavors. 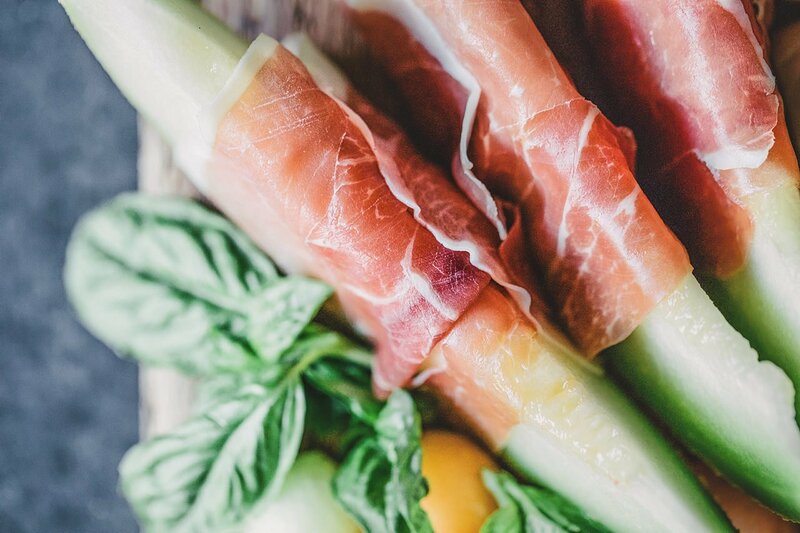 Prosciutto San Daniele is sweeter and more delicate compared to it’s more savory and mature counterpart, Prosciutto di Parma. For me, Speck is most intense in flavor, with its rich, smoky quality. Spanish Jamón Serrano is made from an entirely different breed of pig and cured for a longer time than prosciutto, which makes it drier and more salty. The fun is letting your guests experiment with the variety of potential combinations. Add burrata, mozzarella, basil, and a sprinkling of chopped pistachios and honestly, you’ve got yourself a party! I would suggest you make those photo available in shutterstock, the photo are just beautiful. This is the prettiest platter I’ve seen! 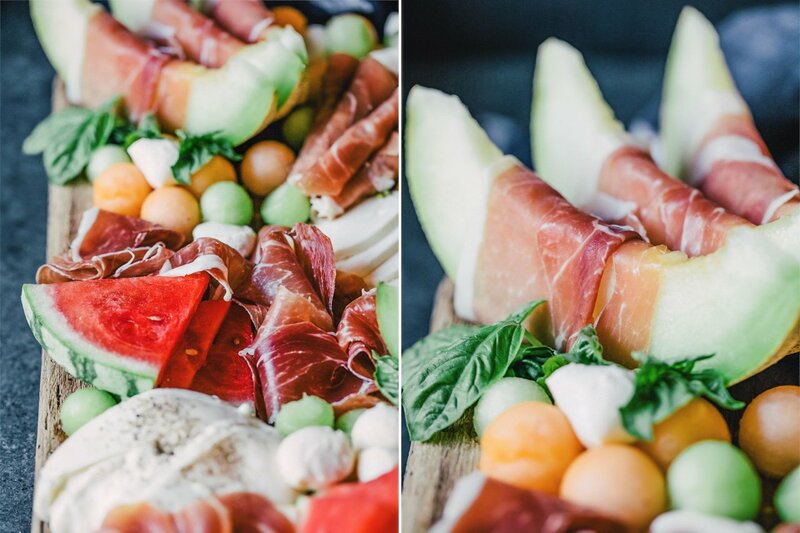 This is the most gorgeous melon platter I’ve ever seen. Looks so delicious! I liked it. This is simply stunning. 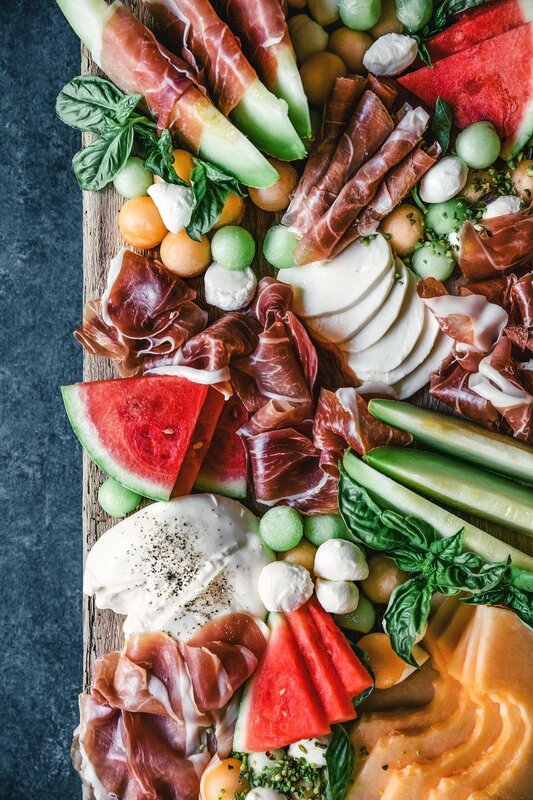 Such a nice alternative to the usual cheese platter. Beautiful presentation…I’m going to pin it and have it for my cover photo for appetizers.